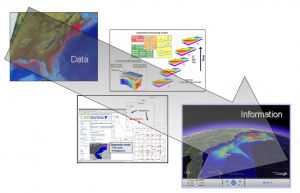 Located at Duke University, the Marine Geospatial Ecology Lab (MGEL) applies geospatial technologies to issues in marine ecology, resource management and ocean conservation. With locations at both the main Durham campus of Duke and at the Duke Marine Lab on Pivers Island in Beaufort, North Carolina, the lab works with students and faculty across disciplines, from fieldwork to policy. By participating in many aspects of marine science, MGEL transforms raw data to information, and ultimately to decisions. While we draw from a wide range of inquiry, our work promotes practical resource management and ocean conservation goals.